I haven’t done anything too adventurous this week. I joined a new gym – a much better one that is hideously expensive but has all of the equipment that one would expect to find in a gym in Canada. The new location has meant a complete rethink of my transport arrangements and indeed safety was a major factor in my decision to join. This gym is quite close to a taxi rank, which means that I don’t have to walk home when it is close to dark any more. So far, the arrangement is working well. 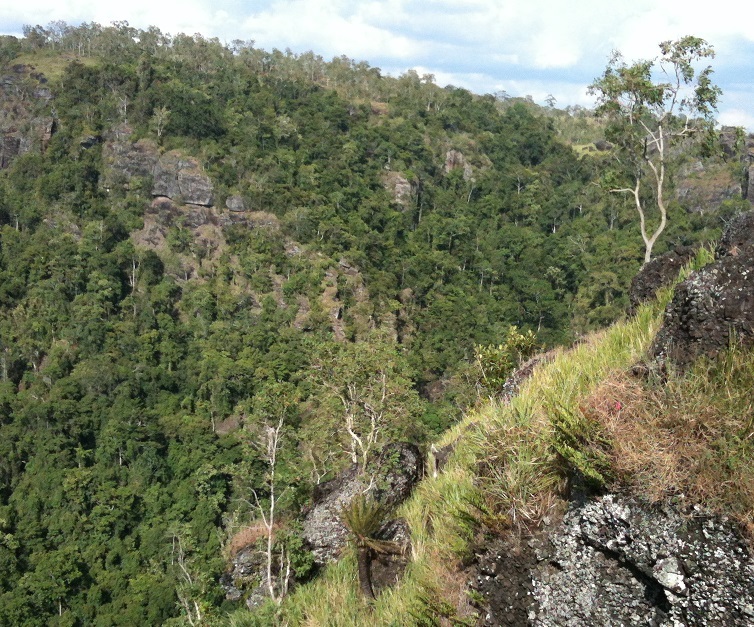 I thought I’d post some pictures from a day trip that I did a few weeks ago to the start of the Kokoda Track. 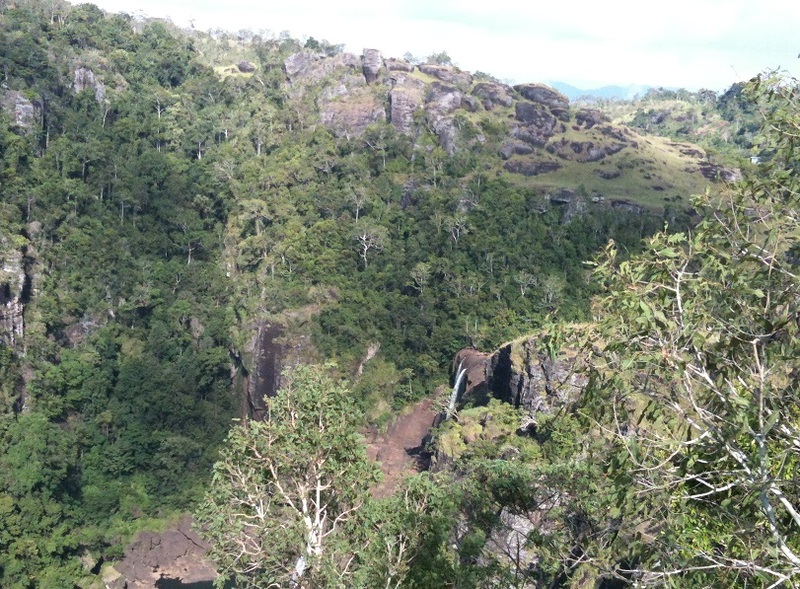 This is an interesting outing about one hour’s drive from Port Moresby. 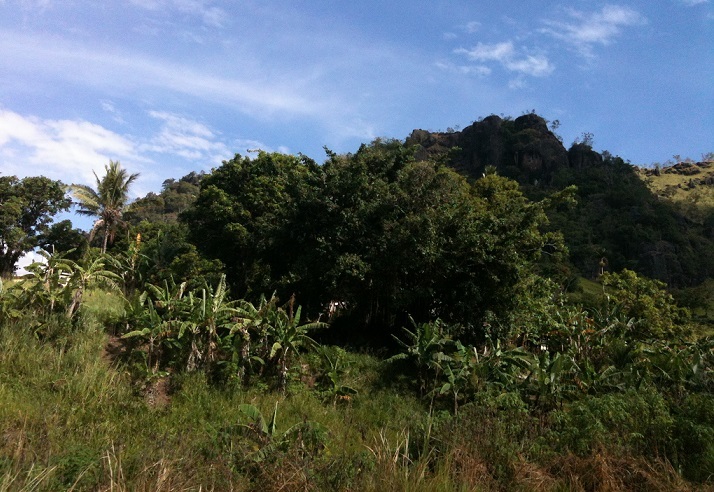 For me, it was something of a pilgrimage. 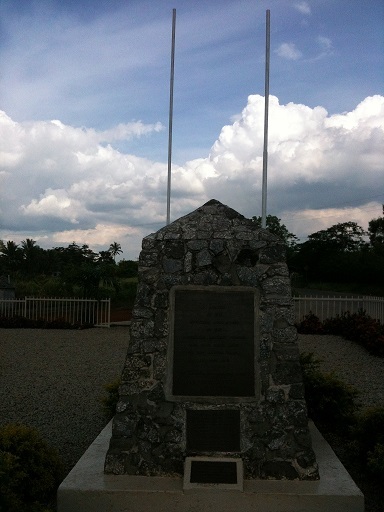 At the start of the Kokoda Track there is a small garden with monuments and flag poles where memorial ceremonies are held. 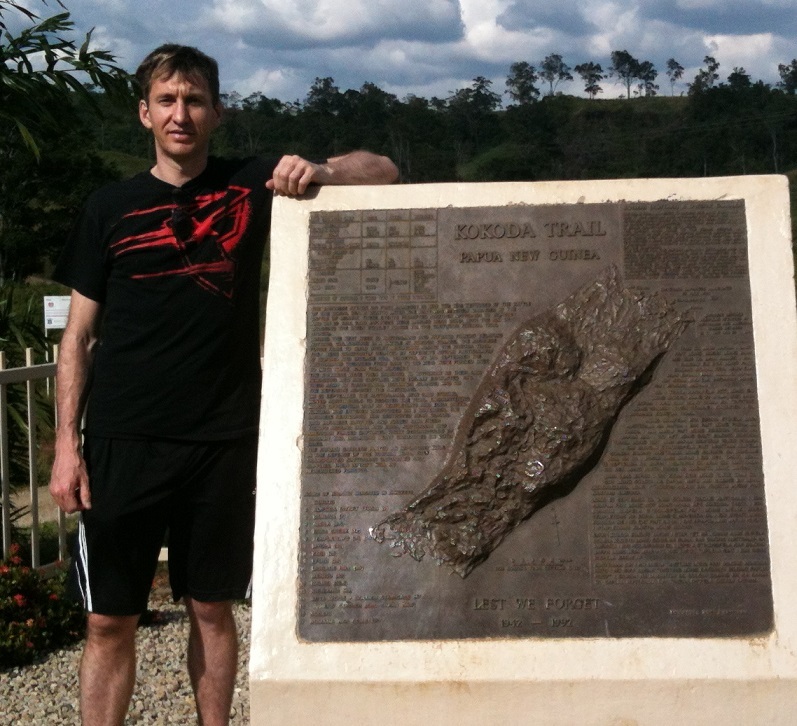 The plaque explains the significance of the Kokoda Track and the events that occurred here. In 1942 the Japanese appeared to be untoppable and they obliterated their opposition as they invaded virtually all of South East Asia. By the time the Japanese reached the point of invading Port Moresby in May of ’42, the Americans were mobilised in force and were able to stop the attack in the battle in the Coral Sea. While technically a Japanese Victory, it was almost a draw and strategically significant because Japan could not offered the losses in ships and aircraft. 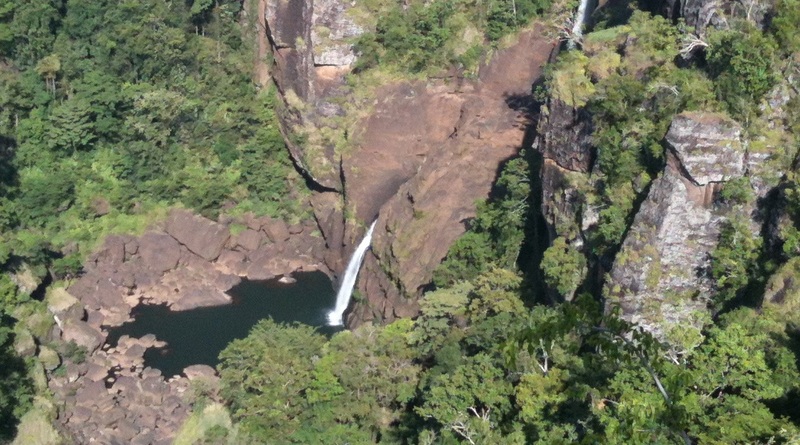 Resorting to the overland route, the Japanese then began to advance from the Northern Coast of PNG down towards Port Moresby on the route to the town of Kokoda. 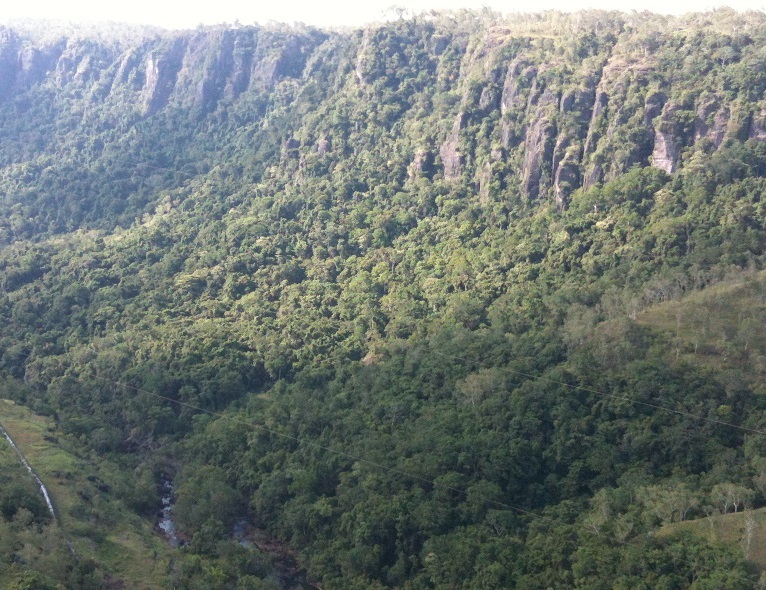 Knowing that if Port Moresby fell, Australia would be next, Australia was forced to send troops to resist the invasion. A force of only 3,000 Australians – most of them militia only, not regular troops were thrown into the breach to halt the attack by 10,000 Japanese troops in high spirits. 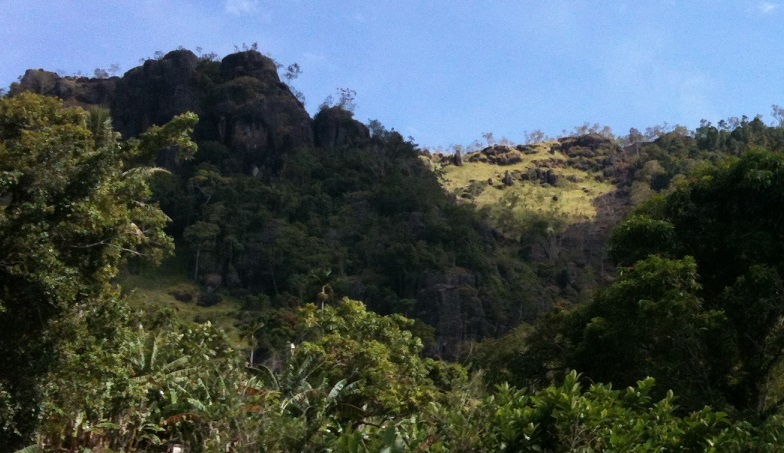 The track crosses the Owen Stanley range of mountains. The territory was grueling and there were many casualties on both sides – and three times more from disease than from bullets. The Australians were successful in repelling the Japanese invasion and indeed it was the beginning of the end for Japanese ambitions in the Pacific. 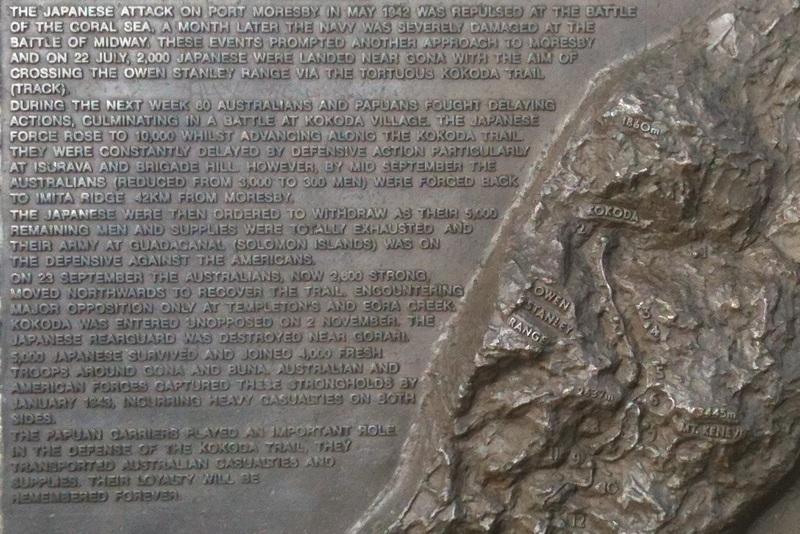 This plaque shows the casualties suffer by all parties in the conflict. This is all just a dry history lesson for those of us who were born many years later, but these were dark days for Australians. The threat was real and immediate. My grandparents often referred to events in their lives as happening “before the war” or “after the war”. Lives were put on hold and of course so many lives were tragically lost. My grandmother never forgave the Japanese for killing her favourite brother (my great uncle) in a Prisoner of War camp. The burden of war fell upon their generation and they did what was needed to protect our nation. All future generations owe them a debt of gratitude. My generation enjoyed the benefits of peace and had the luxury of growing up with McDonald’s and Video Games, never knowing the fear of invasion. 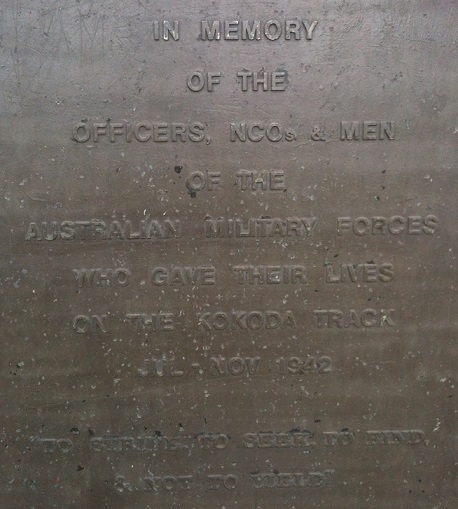 For me, as an Australian during my childhood I heard tales about the Kokoda Track and the men who fought there have become legends. 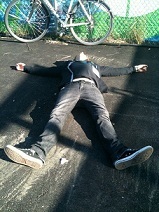 So travelling to the track was very moving for me. I was travelling with some American colleagues and it was clear that they just weren’t getting it. 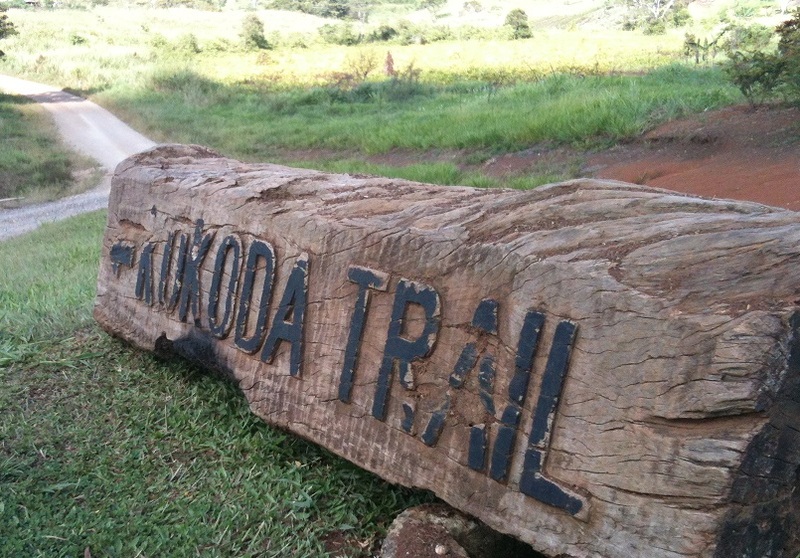 I tried to explain that to Australians, Kokoda is probably as significat as Gettysberg is to the USA. This was a defining moment in our history – when a handful of Australians managed to stop the Japanese juggernaut (with substantial assistance from the American Navy of course). 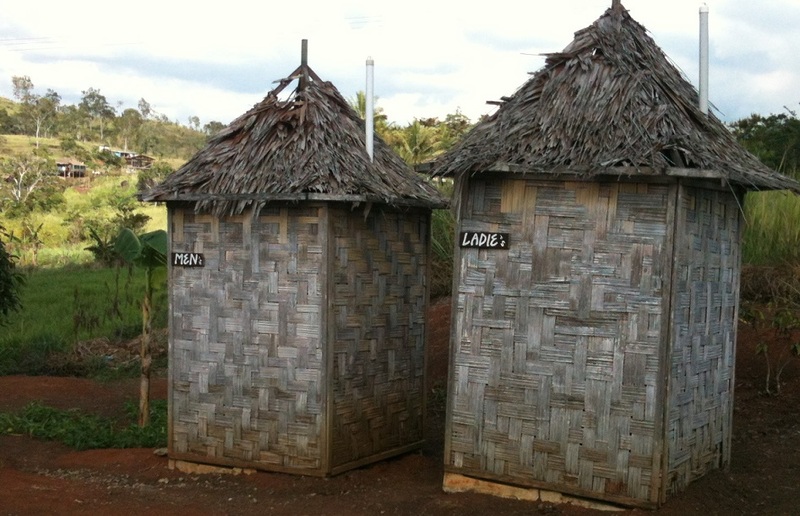 The ceremonial area does have crude amenities nearby. 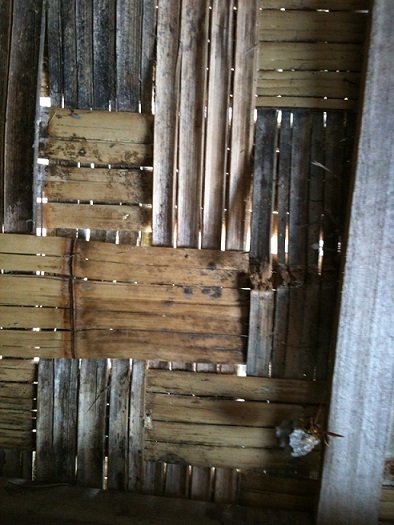 Complete with terrifying wasps that have made their home in the woven walls. In wandering around the site, I came across this survey marker. 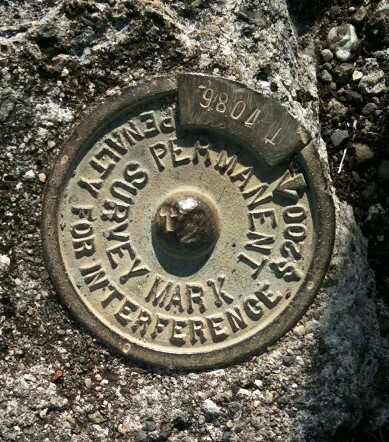 It reads “Permanent Survey Mark. Penalty for interference $200.” Either it was installed between 1966 (when Australia adopted the dollar instead of the pound) and 1975 (when PNG became independent), or it was old stock / there was no PNG version available. Travelling the road to get to the track is quite an ordeal. Very windy and of course full of potholes and the occasional river crossing. 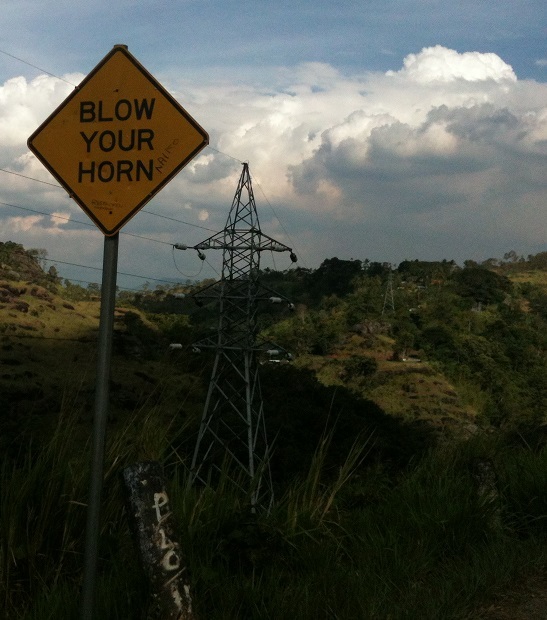 This sign warns drivers to blow their horn before rounding a blind corner. There is a hyrdoelectric plant in the area and this is one of the transmission towers sending electricity around the country. Amusing PNG moment for this week: I was at the supermarket on Friday and I was standing at a checkout. The fellow in front of me placed his shopping down on the conveyer belt and it began to move. As it did, a cockroach shot out of the side of the check out and began sprinting at top speed along against the flow of the belt but not making any progress. It was obviously feeling exposed and probably puzzled as to why it wasn’t getting anywhere. Eventually, it changed tack and ran over to the other side of the belt and disappeared into the checkout. The other customers and staff just ignored it. I’m afraid I wasn’t quick enough to snap a photo, but if you’ve seen one cockroach running for its life along a checkout conveyor belt you seen them all. PS: If you’d like to be informed when new posts come out click on ‘Follow Blog’ on the left of the title page. And please remember to send me comments via this page or e-mail – I love to hear from you! Thanks for the history lesson, Chris…very interesting!